Martha Nyaliah, 80, left Leer in March because of fighting between government forces and rebels. Almost blind, Martha fled to the marshes of Nyal with all her family – 8 people. “We fled when fighting started. If you do not flee, you will be killed. Many of my neighbours were killed,” she says. 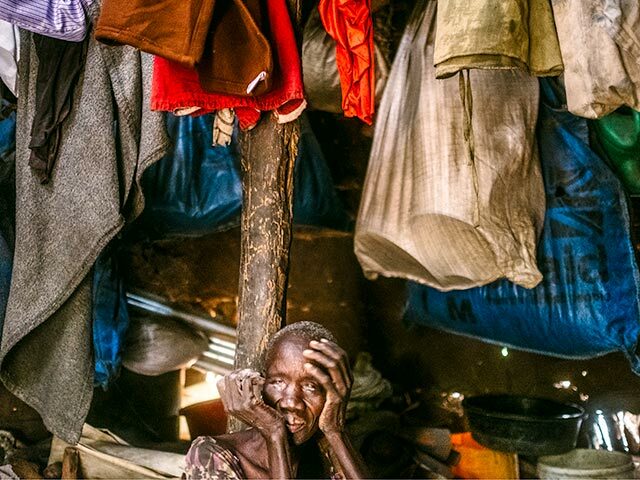 Close to 3.6 million people are either internally displaced or have sought refuge in neighbouring countries, such as Uganda, Soudan and Kenya. According to the UN Office for the Coordination of Humanitarian Affairs, more than 7.5 million people will require humanitarian assistance in 2017.